CFC alumni are continually making waves in the Canadian and international screen-based entertainment industries – from awards to festivals, industry recognition, “it lists” and more. Here’s the latest round of updates and success stories for CFC residents and alumni from July 2018. CFC Media Lab production Made this Way: Redefining Masculinity will participate in the Venice Virtual Reality Competition at the 2018 Venice International Film Festival, which runs from August 29 to September 8, 2018 in Venice, Italy. Read more HERE. CFC alumnae Molly McGlynn and Jennifer Podemski announced as new Ambassadors for TIFF's Share Her Journey movement. 22 CHASER, the high-octane drama and 22nd feature film developed and financed for production by CFC Features, directed by alumnus Rafal Sokolowski, written by alumnus Jeremy Boxen and produced by alumni Aeschylus Poulos and Daniel Bekerman alongside CFC board member Don Carmody is now available on VOD. Watch the film HERE. 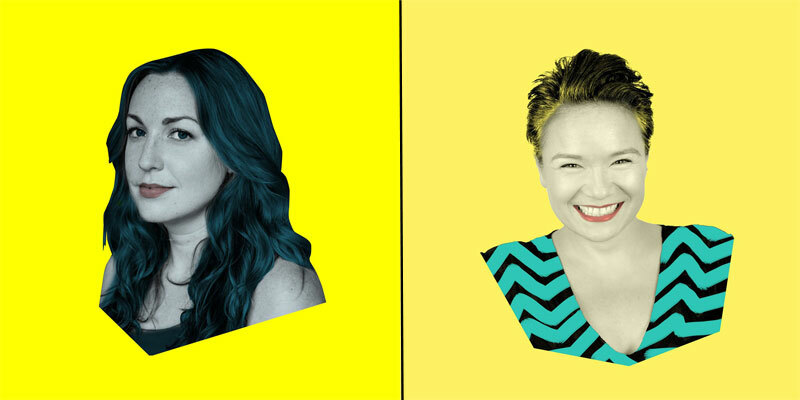 TIFF announced alumnae Molly McGlynn and Jennifer Podemski as new Ambassadors for its Share Her Journey movement, and alumna Nikki Saltz as the inaugural Micki Moore Resident for her feature comedy screenplay, Work It. Learn more HERE. Alumni film Mary Goes Round, from writer/director Molly McGlynn (produced by Matt Code, executive-produced by Aeschylus Poulos, edited by Christine Armstrong and Bryan Atkinson, featuring music by Dillon Baldassero and Casey Manierka-Quaile, as well as two original songs by Lisa Conway, and an appearance by Bruce Novakowski), is now available on VOD. Watch it HERE. Never Saw it Coming, from CFC alumna and director Gail Harvey, will begin its theatrical run in Toronto on Friday, August 17, 2018. More info HERE. CBC Arts's film show The Filmmakers is back for Season 2 and will celebrate eight female directors throughout the season, including alumnae Mina Shum (Saturday, July 28 episode), Ann Marie Fleming (Saturday, August 11 episode) and Stella Meghie (Saturday, September 15 episode). Click HERE for more information and the full Season 2 schedule. Alumnus Brad Peyton is set to helm and produce the upcoming adaptation of graphic novel Skyward. Read more HERE. Alumna Jackie Olive, from CFC Media Lab’s 2016 Open Immersion: A Virtual Reality Creative Doc Lab, was selected as one of the directors for the Sundance Institute Film Music and Sound Design Lab, which ran from July 10 to 23 as a joint initiative of the Institute's Film Music Program, Feature Film Program and Documentary Film Program. More info HERE. Juggernaut, produced by CFC Features alumnus Matthew Cervi, edited by Rob Grant and featuring music by Michelle Osis, is now available is now available via Amazon Prime in the US and Canada. Find it HERE. Syfy in the U.K. has acquired season four of sci-fi drama Killjoys, created by alumna Michelle Lovretta. Learn more HERE. Cameras started rolling on July 9 on Season 2 of CBC’s original drama series Burden of Truth. Alumnus Grant Harvey will return to direct on Season 2, and alumni Shannon Masters, Hayden Simpson and Eric Putzer will return to the writers’ room. Read more HERE. Alumna Haya Waseem has joined the production company Variable as a director. More info HERE. Global renewed suspense drama Ransom, executive produced by alumna Jennifer Kawaja for Season 3. Learn more HERE. Alumnus Anthony Del Col’s digital comic Luke Cage is one of the new titles joining Marvel Digital Originals (MDOs), and will be released digitally worldwide on August 15, 2018. Find out more HERE.